The eye of God, shedding tears of grief for humanity as he regards the world from the highest firmament. 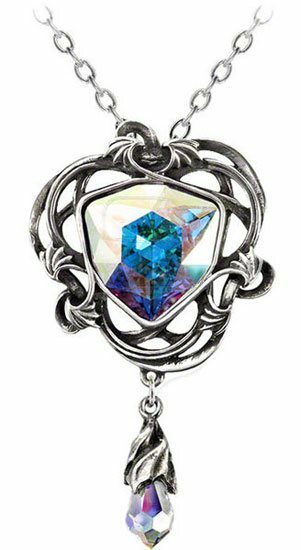 The Empyrian Eye pendant necklace by Gothic Alchemy is a exquisite pendant. 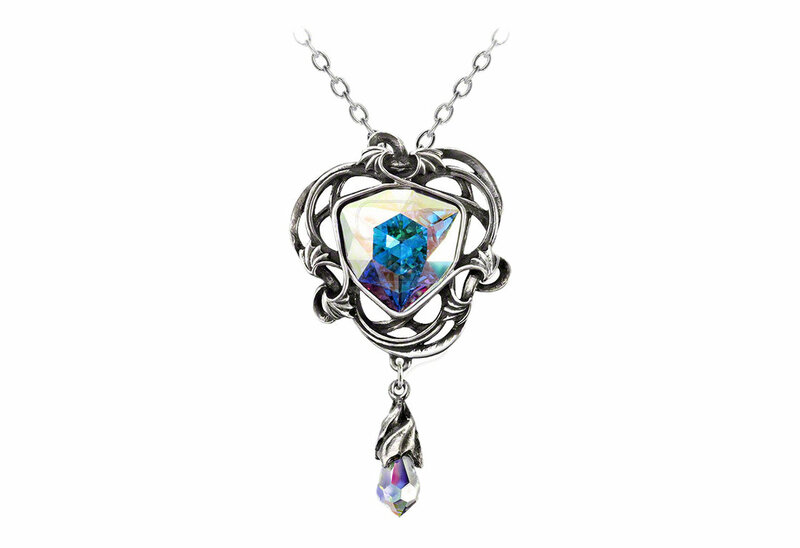 The main crystal is polished to a degree that gives off an almost holographic sparkle of blues, greens and purple.